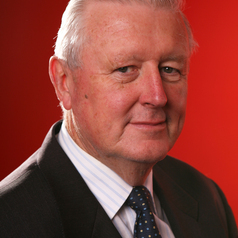 Professor Sheehan has made a substantial contribution since 1994 to the studies of the global knowledge economy, and of its Australian and international ramifications. For over two decades he has contributed to the analysis of new technologies and their application in Australia, and to policy and commercial developments, related to the commercialisation of such technologies in Australia. From 1987 to the late 1990s he was actively involved, as Chairman or Director, in a number of technology-based companies, many of which he was instrumental in establishing during his time in government. For example, from 1987 to 1993 he was a Director of Australian Medical Research and Development Consortium Ltd (AMRAD) a company with a diversified ownership established to commercialise Australian medical research. In 1988 AMRAD entered into a joint venture with Merck, Sharpe and Dohme to establish a 50/50 joint venture, AMRAD Pharmaceuticals. In August 2003 he was elected to the position of Vice Chair (Academic), APEC Life Sciences Innovation Forum. The Group is chaired by the Deputy Prime Minister of Thailand. Eli Lilly's President, Asia Operations is one of the three Vice Chairs. The establishment of the Group is an initiative of President Bush. The US pharmaceutical industry and US State Department have a significant involvement.